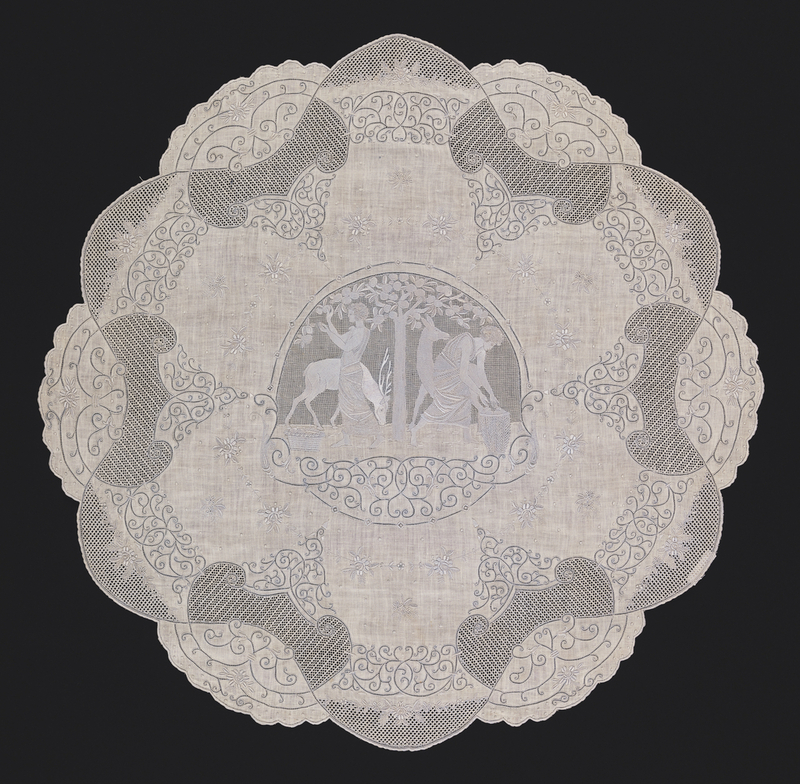 See more objects with the tag figures, scalloped, classical, domestic interiors, tableware, table, deer. See more objects with the color silver grey dimgrey darkslategrey or see all the colors for this object. This is a Table mat. It is dated 1900–25 and we acquired it in 1976. Its medium is cotton embroidery on linen foundation and its technique is embroidered in satin, couching, speckling, stem, eyelet, chain and herringbone stitches with deflected element work on plain weave foundation. It is a part of the Textiles department. 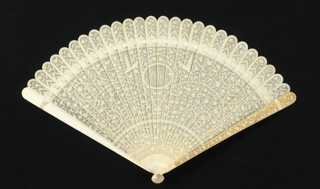 This object was featured in our Object of the Day series in a post titled A Hand Made Swiss Embroidery . This object was donated by Stanley Herzman. It is credited Gift of Stanley Herzman.